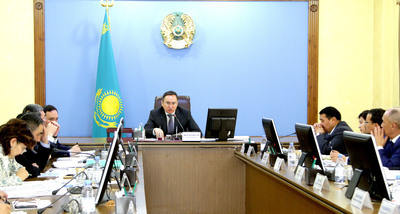 ASTANA – The Zhambyl region will focus on seven priorities to develop the region’s agricultural sector, Regional Agriculture Department Head Nurzhan Nurzhigitov said during a recent meeting of regional officials. Those priorities include developing farming, increasing arable land areas, developing agriculture chemistry, increasing seed production, improving agriculture products processing, protecting flora and updating agriculture equipment. Last year, the sector received 6.4 billion tenge (US$19.9 million) from the national budget and 9 billion tenge (US$27.9 million) from the local budget. With these resources and other financial support mechanisms, the region’s agricultural production exceeded 255.6 billion tenge (US$802.58 million), he said. More than 630.2 hectares were cultivated in 2017 and the region plans to create 41 milk and meat processing cooperatives, adding to the existing 26 cooperatives across the region. The farming sector is also expected to increase output, as last year beef production reached 59,400 tonnes and is expected to rise to 72,100 tonnes by 2021. The region also plans to increase the number of small cattle up to 2.9 million heads by the same year, said Nurzhigitov. Entrepreneurship and Industrial-Innovative Development Department Head Karlygash Aralbekova said the priorities envision the systematisation and development of processing industries, more loans for entrepreneurs and funding for investment projects in the region. Aralbekova said processing industry output grew 1.6 percent in 2017 and totalled 254.9 million tenge (US$792,739), creating 3,900 jobs and generating a 12 percent increase in tax payments. The development map, she noted, lists 330 enterprises in the processing industry and identifies challenges to growth. 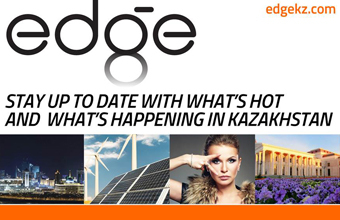 Recent data reported that 84 ventures were suspended and that Zhambyl Region Akim (Governor) Askar Myrzakhmetov, previously Kazakh agriculture minister, has instructed heads of regional departments to facilitate the relaunch of idle enterprises. He also urged the consolidation of small farms into large agricultural cooperatives. In 2017, the region saw the creation of 146 agricultural cooperatives, including 48 established through the merging of private plots and 98 through the merging of small peasant farms. To date, the region has 196 agricultural cooperatives employing more than 17,000 people.